Towards the end of last year, I was introduced to this cafe by an overseas visitor. A mildly embarrassing feat considering I’ve lived a stone’s throw away for the last four years but never thought to pop around for a coffee or more. Saint John Espresso is dedicated to the sweeter things in life, as you may be able to tell by its cute and quirky cake mural on the counter, strategically painted below a boastful cabinet of the same sugary masses. Their prowess in all things baked doesn’t surprise me as said overseas visitor wouldn’t stop raving about their vegan spiced biscuits. 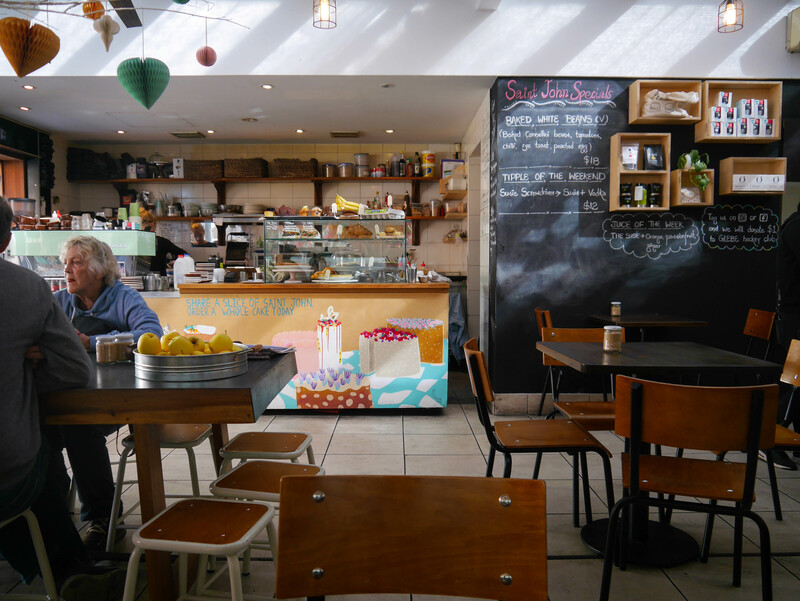 The cake offerings seem to update on a weekly basis, and even though this review focuses purely on their brunch game, I’m merely biding my time before I cave in and order a whole cake to try. I found the garlic sauce a tad too creamy, which could have been balanced out by incorporating the mushrooms even further. While I am partial to brioche on occasion, I felt that sourdough would have been the better carb for this as the brioche got soggy very quickly. This dish typically comes with streaky bacon which I asked to swap for a poached egg. 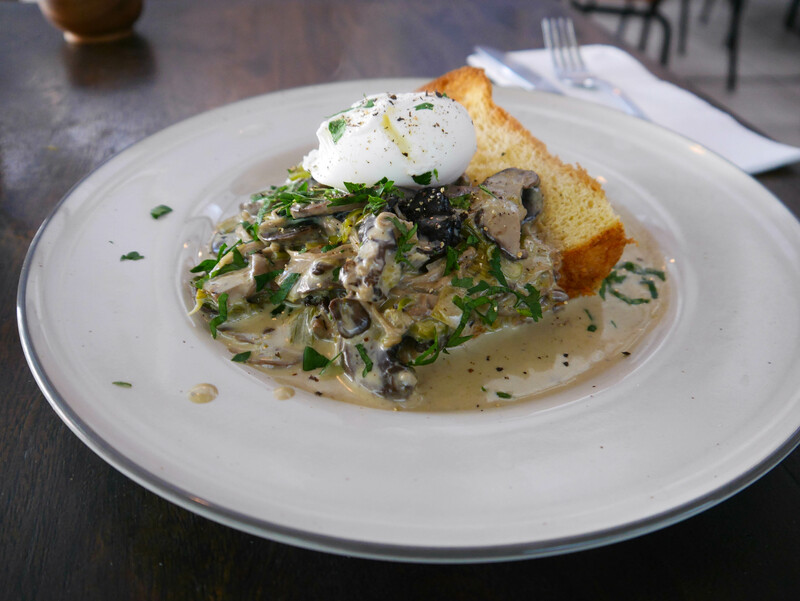 It’s a substitution that reaps rewards, as the egg goes together beautifully with the mushrooms, with the yolk even going a bit further to cut through the sauce. 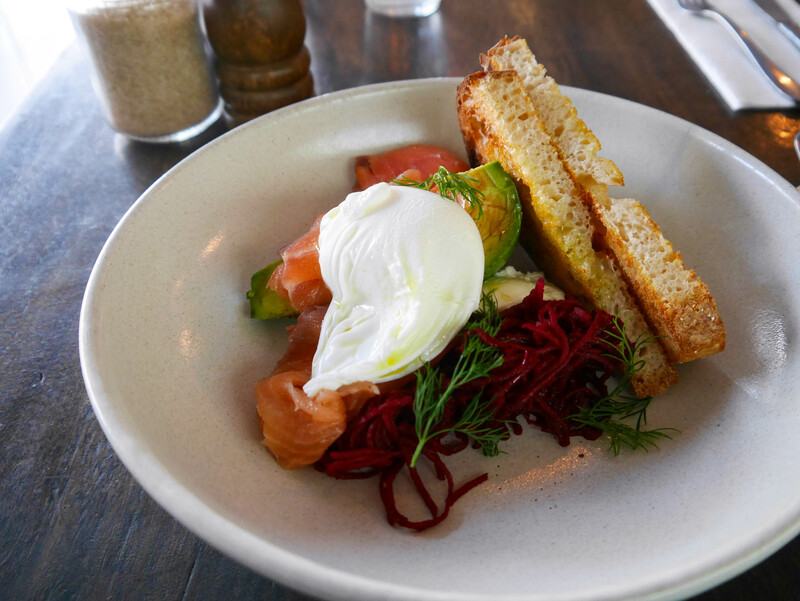 Salmon, avocado and a poached egg are about as basic as you can get in brunch cuisine, but some mornings truly call for a no-nonsense feed. The poached egg was cooked to perfection, with a nice light coloured yolk that drooled onto the plate upon perforation. The avocado was also cut and peeled at the height of its ripeness, however the colour of the smoked salmon probably wasn’t as vibrant as I would have liked it to be. A special shoutout must go to the beetroot pickle, which was a nice tangy addition to the mix, with a crunchy texture and I also loved the way it coloured the smoked salmon in hues of fuchsia. The white bit in the middle looks suspiciously like another egg but is actually a little lump of cream cheese. It sits like a generous afterthought, as though the chef surmised that most people would in fact, like a bit of it to go with the salmon. 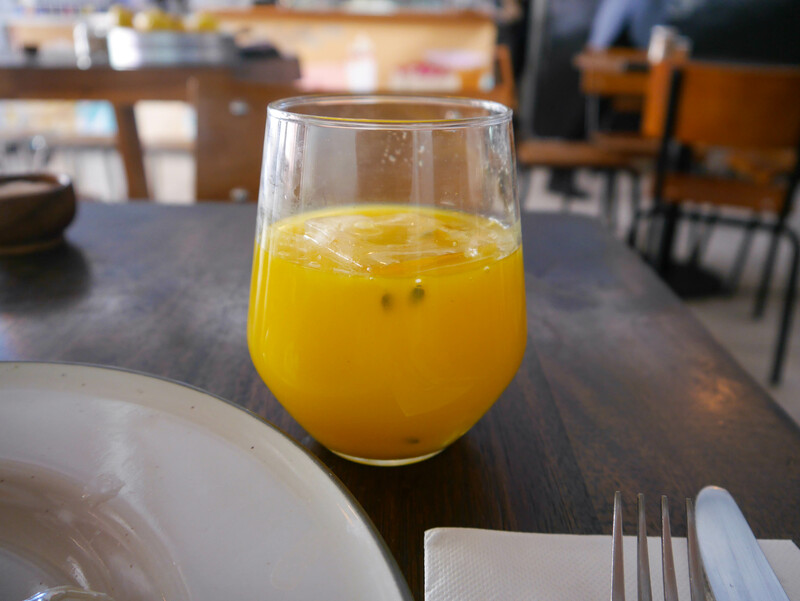 The juices are supposedly freshly made in-house but I saw my waitress pull mine from a mason jar in the fridge at the back. (Which doesn’t necessarily negate how it’s being promoted, just something to note). I thoroughly enjoyed The Susie and felt like a new person from drinking it, after a long morning of Muay Thai training and sparring. There’s shocks of orange, ginger and passionfruit through it, it’s something I can’t wait to be savouring once summer returns. Edit: Saint John Espresso have reached out to clarify that the juice is sourced from a small local company called Rainy Lane. I keep accidentally shooting myself in the foot by having a Nespresso early in the day, which by my own arbitrary rules, excludes me from having another coffee. In any case, OVVIO teas makes another cameo. 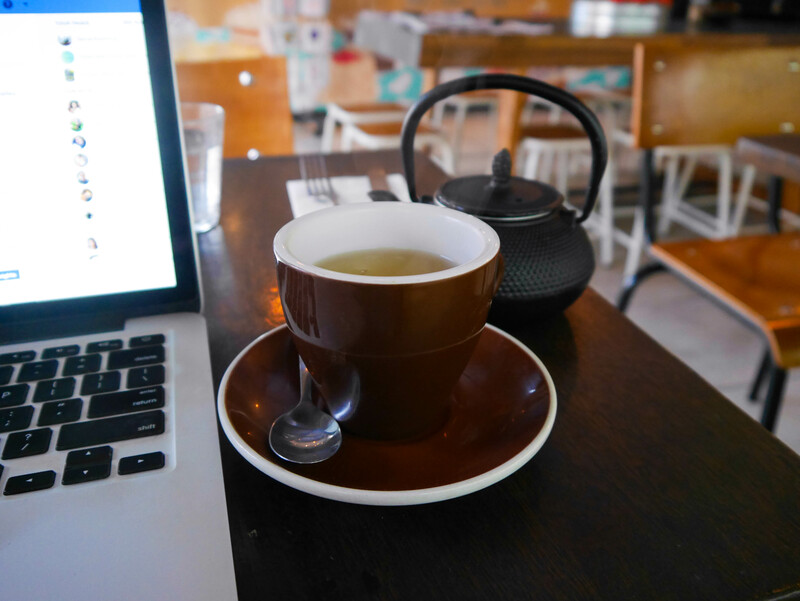 I’ve opted for their sencha green this time and it becomes deliciously bitter by the second cup. Last but not certainly not least, it has actually been awhile since I’ve had this. If memory serves me right, there’s a nice little bit of crust that gives way to a softness, particularly towards the middle. I like the pairing of the ginger and cinnamon, spices that go oh so well with the flavour profile of the molasses. The end result is an almost velvety sort of finish, where each mouthful says winter, mulled wine and roaring fires. 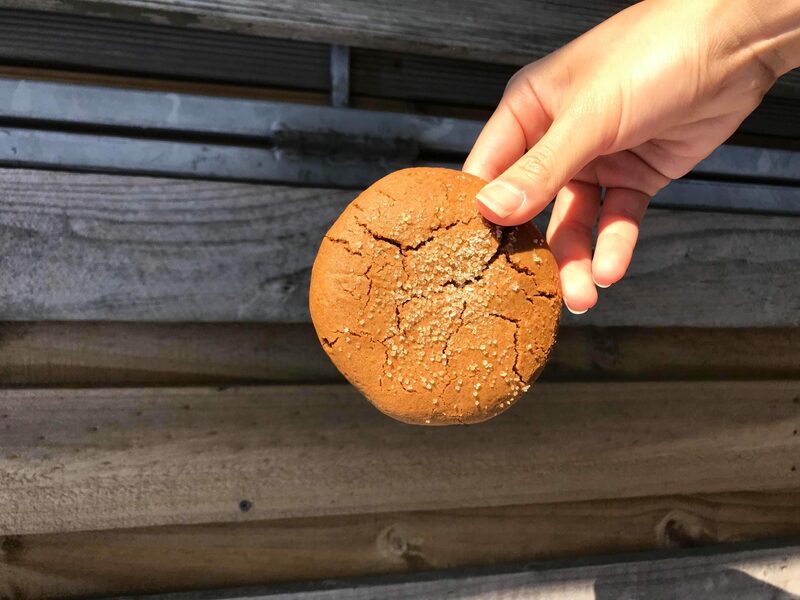 If you had to risk it for a biscuit, make it a vegan spiced one by Kate, from Saint John Espresso. As I was leaving to pay, I noticed a long row of jars with the names of other businesses on them, next to a larger, open jar filled with different coloured tokens. Upon enquiring with the waitress, she informed me that these were all local businesses in the area. Every time someone from a particular business came in to purchase something, a coloured token from their specified jar would go into the bigger pool. Once a month, they draw a token at random from the pool and reward the business with a $100 voucher. It’s always wonderful when individuals support local businesses. That feeling is elevated even more so, when there’s camaraderie between businesses too.